Kaegan hails from a little village in the Netherlands called: Ossendrecht. 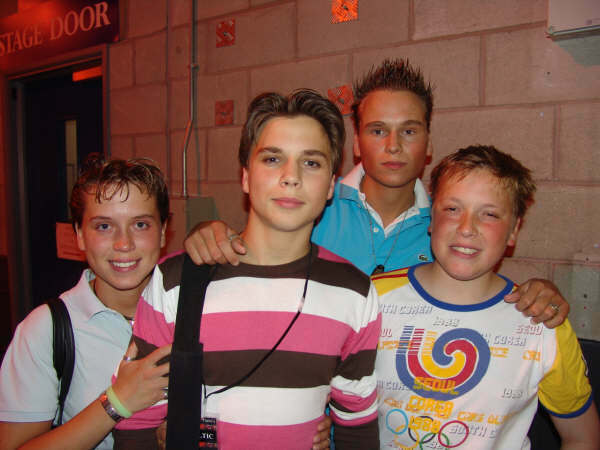 He actually was born in Bergen op Zoom on December 10 - 1988. 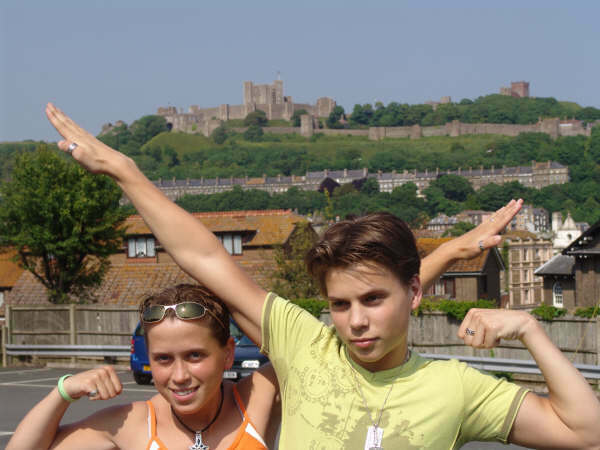 He has one older sister ( Jaimie ), one older brother ( Jeremy ) and one younger brother ( Killian ). When Kaegan was a little boy, he always had the urge to be on a stage. At the age of 7 Kaegan already was a fanatic member of a show dance group and he performed at several big events with that show. 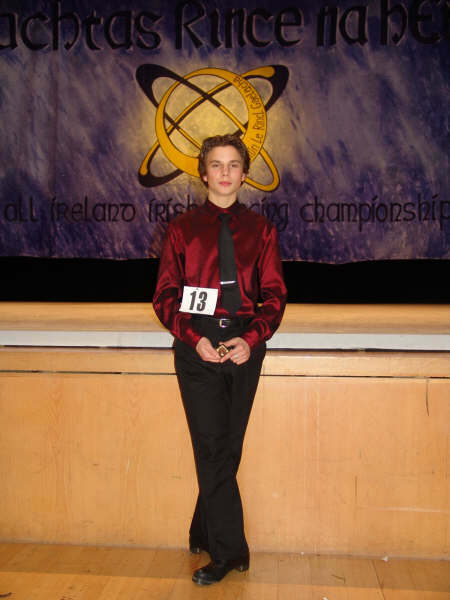 At the age of 12 Kaegan and his brother Killian started with Irish dance lessons. That's because he loved Lord of the Dance so much. His father ( Leon ) lived in Australia in an Irish community, so they have a lot of Irish friends. The kids were raised quite Irish and they all visited Ireland several times during holiday breaks. His parents Leon and Martina have always been very supportive for Kaegan and Killian while they took the dance lessons and when they had competitions. Kaegan and his brother Killian took Irish dancing lessons at the " Celtic Border " school in Bergen op Zoom ( Netherlands ). Their teacher is Ann Gallagher TCRG. The first competition Kaegan competed at was the "2nd Netherlands Open Feis" in Amsterdam on november 3 - 2001. 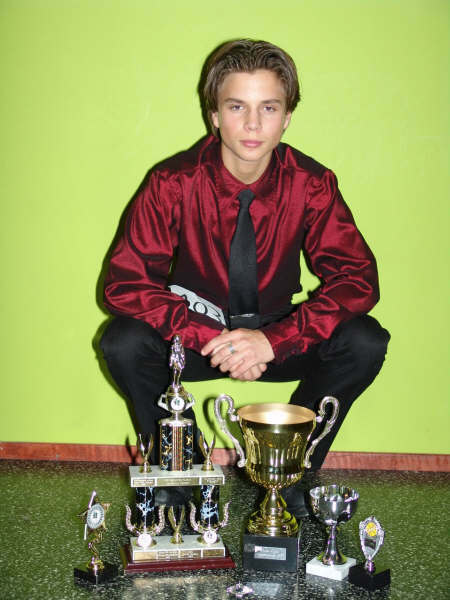 Ever since Kaegan danced at a lot of competitions and he has won all championship titles in Europe. Last year he won the qualifiers for the Worlds in Frankfurt. But unfortunately Kaegan could not compete at the Worlds, because he was very busy with the rehearsals for the new show of Michael Flatley " Celtic Tiger " in England. The thing he likes most while he is dancing on stage is that he's able to let the audience enjoy themselves and even make them happy. 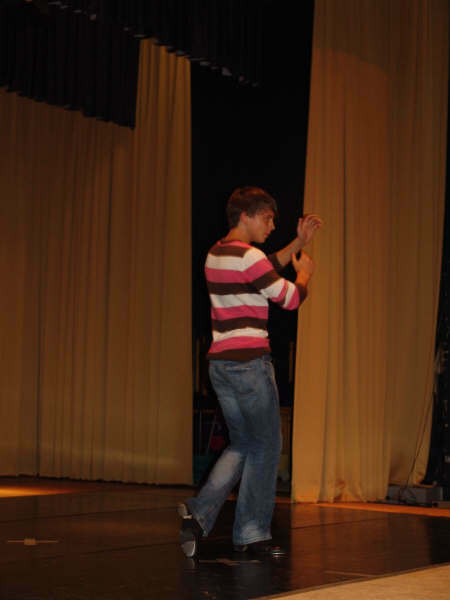 And he really loves to dance too! Before Kaegan auditioned for Michael Flatley's new show, he was still at school. He was in his final year of the "Mollercollege" in Ossendrecht. After school Kaegan stepped into his hardshoes and practiced many hours....... he trained for 2,5 to 3 hours every day.....also in the weekends ! So after a lot of training and hard work Kaegan was very excited he could audition for the " real work ". He had to audition in front of his favorite dancer of all times Michael Flatley and after a few days he got the call that he was in !! Kaegan has rehearsed for a moths with the other cast members of Celtic Tiger. On 17 June, the show had its first appearance for a crowd of screaming people in Birmingham, there were 500 fans invited and all the dancers family and friends where there, the DVD recordings were made. The official opening night for public to see Kaegan in Celtic Tiger was on July 9 - 2005 in Budapest, Hungary. Now the show will open in America on 27 September, Madison Square Garden in New York. The Celtic Tiger tour has moved across in the United States and Canada in 2005 and will tour around April, May and June 2006 Europe and also visit Taiwan, Asia in June 2006. See the Tour info page for more information. Pictures of the youngest dancer of Michael Flatley's Celtic Tiger, Keagan van Dooren during the Celtic Tiger North-America tour. - Kaegan in front of the Empire State building, Washington D.C. - Yeah, what a great pose !! If you have a message to Kaegan, click here to send me a email and I will forward it to him. And down here lots other photo's of our Kaegan ! 17 years old and the youngest dancer in Michael Flatley's Celtic Tiger. Kaegan dancing "Stolen Kiss" with Sarah Clarke. 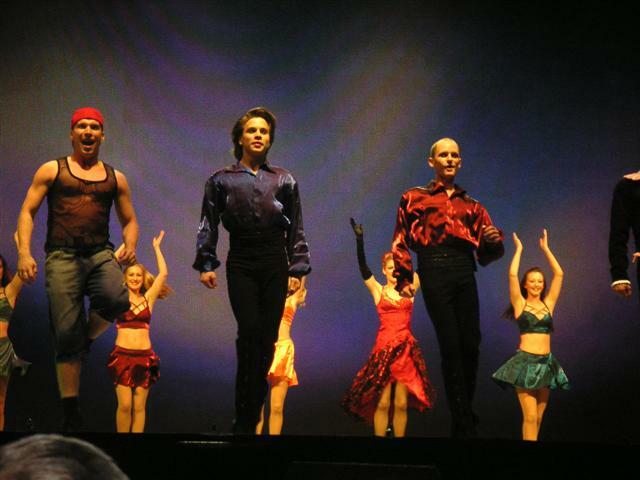 Kaegan and his colleagues from Lord of the Dance ! Kaegan before the first CT show with his best fans! Kaegan and his biggest fan, Esther. Kaegan leaving the DVD-recordings show in Birmingham with his brothers and sisters, L to R: Jaimie, Kaegan, Jeremy and Killian. Kaegan dancing in Celtic Tiger, he's in the middle with the dark costume. Kaegan is allways the winner. He sure will never stop winning prises ! And has a lot of trophies! 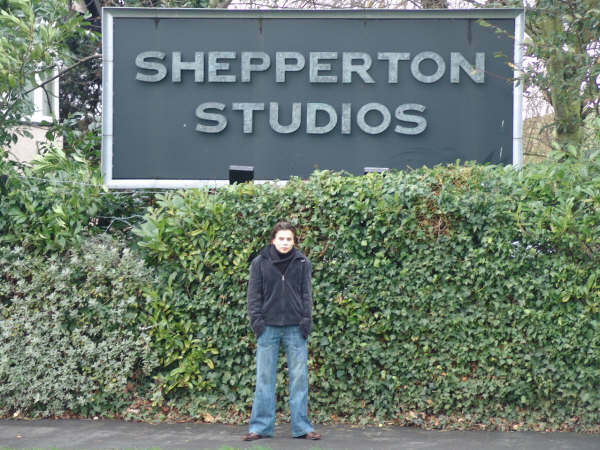 Kaegan in front of Shepperton studio's, at the Celtic Tiger rehearsels. Cool or what ?? !! Kaegan and his bike. What is he wearing on his head there?? New part of the new CT costumes ? Kaegan and his sister Jaimie. Kaegan dancing in Yankee Doodle Dandy in Rotterdam on 2 May 2006 ! Kaegan dancing in The famine in Antwerpen (BE) on 1 May 2006 ! Kaegan singing in A nation once again in Antwerpen (BE) on 1 May 2006 ! Kaegan in A nation once again in Antwerpen (BE) on 1 May 2006 ! Kaegan dancing in Freedom in Antwerpen (BE) on 1 May 2006 ! 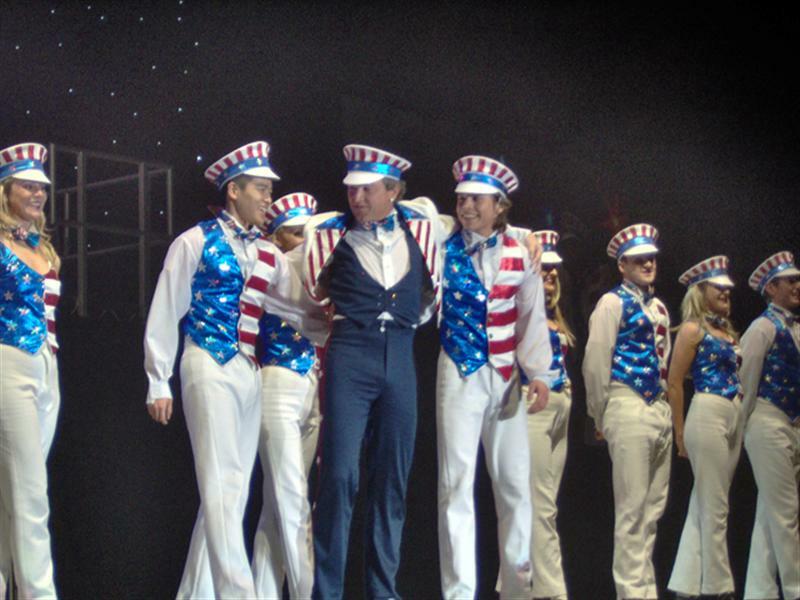 Kaegan dancing in Yankee Doodle Dandy in Antwerpen (BE) on 1 May 2006 ! Kaegan in Yankee Doodle Dandy in Antwerpen (BE) on 1 May 2006 ! 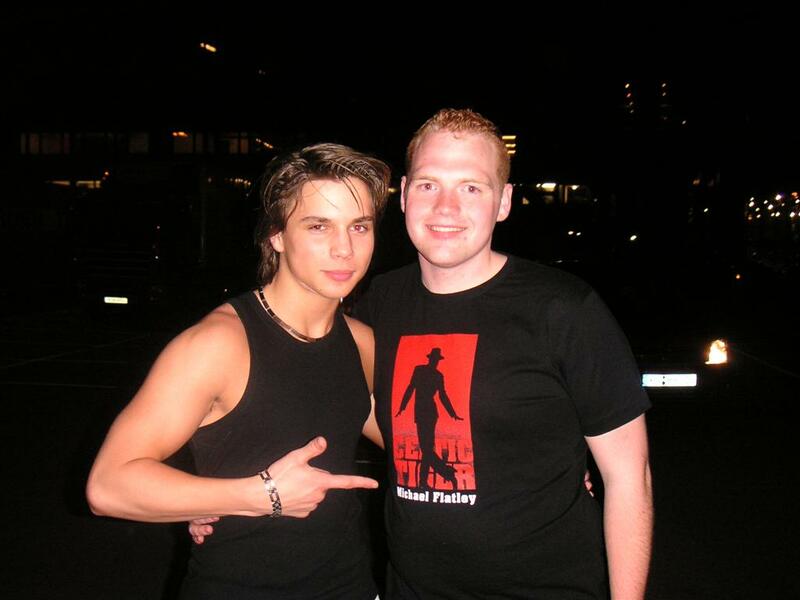 Kaegan going to his fans after the show in Antwerpen on 1 May 2006 ! 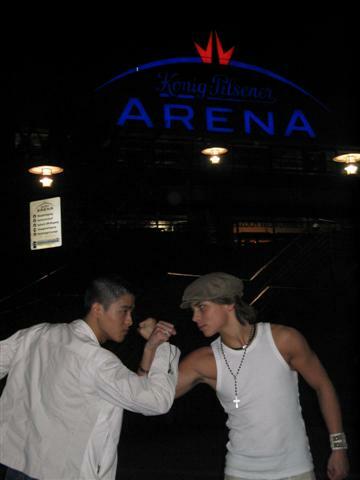 Kaegan and stefan striking an AMAZING pose right in front of the arena in Oberhausen !! Kaegan dancing in CT's "New World" in Oberhausen (DE) on 6 May 2006 ! and of course by Kaegan himself, I cant thank you enough Kaegan !